In a well written, at times horrific, and thought provoking new book by author LV Hannah, Keep Listening: A Patient Perspective on Modern Medicine recalls the deeply personal and troubling story of the birth of the author's second child and the aftermath of the negligent treatment she received from the medics assigned to her in the United Kingdom. Hannah's experiences at the hands of the medical community were nothing short of shameful, and the illness and near death that she suffered because of her treatment had life impacting and long lasting effects for her, her family and her career. The story also follows her unsuccessful attempts to sue the medical professionals who treated her, and expresses the message she truly wanted to get across; that those in the medical field must do a better job of listening to their patients if they are going to do their jobs well. 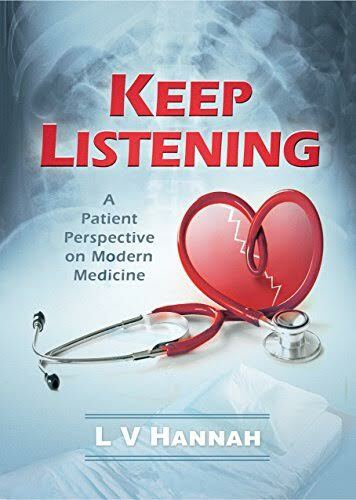 Keep Listening: A Patient Perspective on Modern Medicine is an eye opening read that does a great job of informing readers of things that can go wrong during the birth experience, and the importance of listening to each person's innate ability to know their own body and what is happening within it.